This room opens to a balcony or patio, great for kicking back and taking in ocean views. Satellite channels are offered for your entertainment. A minibar and a coffee/tea maker are provided. The private bathroom has a shower/tub combination, as well as a hair dryer. Climate control, air conditioning, and a safe are among the conveniences offered. Built in a stunning Afro-Arabic design with all the splendor of a Sultans’ Palace sits on the lap of the beautiful Indian Ocean boasting flawless white sandy beaches and waves breaking over coral reefs and sand bars offshore – perfect for the ultimate, sun-kissed African get-away. The Resort has 138 Sea facing Rooms, 122 Superior, 10 Superior Deluxe, 2 Executive Suite, 2 Family Suite & 2 Honeymoon Suite, each having its own private balcony with sliding glass doors that open to the beach front, with en-suite bathrooms, air conditioning, telephone, satellite television, mini bar, internet connectivity, king size or twin (four poster) beds, inter-connecting rooms and orthopaedic beds available. 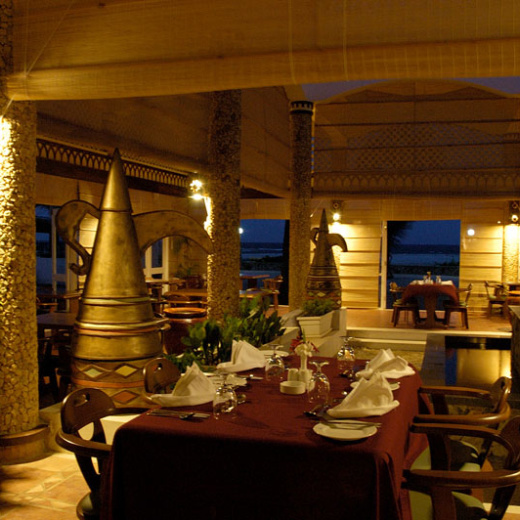 Set amidst the lush gardens and overlooking the Indian Ocean are a total of 138 stylish rooms and suites. All rooms are spacious and elegantly furnished with air conditioning, equipped with colour TV with satellite channels with mini bar and tea/ coffee makers. Bathrooms are designed and decorated with the comfort and convenience of the most discerning guest in mind. In addition each guest room is built with either a full balcony or a private patio essential for a relaxing breakfast or a romantic candlelight dinner. 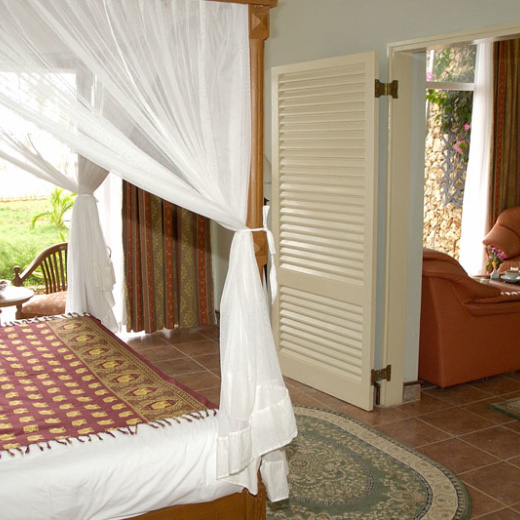 All rooms have a magnificent view of the Indian Ocean.